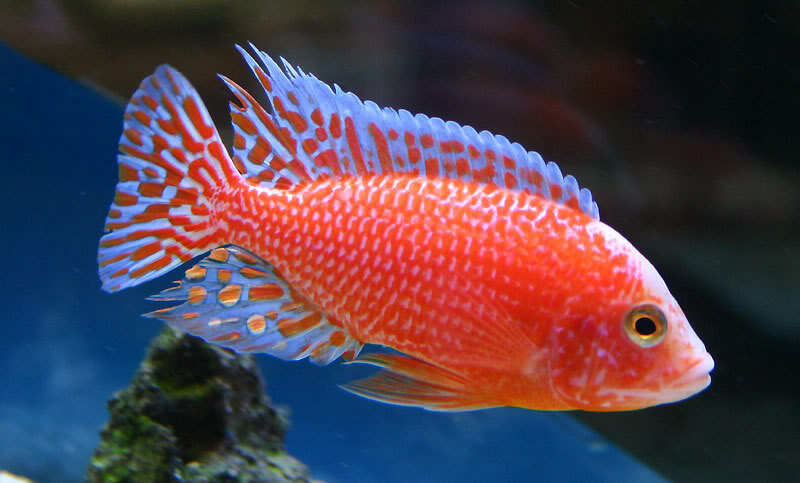 i got another peacock today its a dragon blood and i got it from walmart for 11 bucks, i dont buy fish from walmart often but these peacocks are very nice and the great thing about walmart is there 3 day warranty so tomorrow i will go back and tell them it died and get one more for the 135, i call that a bargain. They don't ask for the body? Aura wrote: They don't ask for the body? not at the walmart i shop. got my replacement fish yesterday now i have two little dragon blood for the price of 11.93 for the pair, got luv the walmart. Well what do you expect if you sell dragon bloods, discerning, high class, honest, customers? Not that I have anything agaist em. I have three in my 200g. Going to dump em as soon as the more natural reds come in the more natural fish I am growing on though. But for a splash of cheap quick red/pink in a new tank they are hard to beat. Dunno but I would for sure quarentine any fish from a chain before exposing my guys to the bugs the guy would have been exposed to. are you calling me low class? Waiting for some pics, our wallyworld had some a while back, they looked great. I got my old albino peacock there for about $2.50, he was in with some kissing gouramis Never seen another like him since. I think they get their fish from the same distributor that likely supplies a bunch of the LFS and chains around here. We had a worker that actually kept care of the tanks, she's gone now and the tanks went to crap for a while, but a couple of days ago they looked nice and clean and no dead fish, they also had the best looking yellow labs I've seen around here in a looooooong time! I don't think there's anything low class about selling dragon bloods, they're a hybrid, but they've become pretty common now and are here to stay, and the colors on some are awesome. With peacocks nowadays it's pretty hard to be sure exactly what you're getting, unless you know the breeder or get wilds, at least around here, you'll never know if somebody put the wrong female into a mix. The dishonesty of getting a free fish that they charged double for to begin with? I've gotten a couple of red zebra/feeder comets before If they hire incompetent pantyhose stockers to fill in for the off shifts in the pet department then that is their own fault. well this might make those of you who think im screwing walmart when i turned on the lights on my tanks today i found one dead dragon blood its 3 days after the warranty expired, i call what did and will do again hedging my bet so if you have a problem with the way i exploited the loophole in the return policy well just get over it ok.
That's sad; sorry to hear it. If your Walmart doesn't ask for a body back, they put that enormous loophole in there. The one near me does ask. 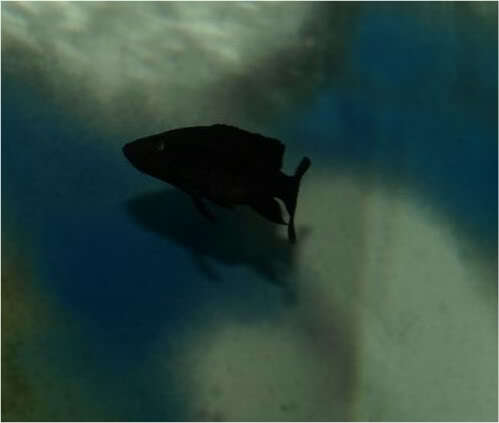 They also told me that if anyone brings a fish back for any reason (a return) that they have to destroy it -- it can't be put back into the tank to resell. I hope your other one makes it okay. poolmako wrote: are you calling me low class? Dunno high class or low class anyone helping keep pindu alive (in the hobby) is OK by me. kind of did not expect a class fish like that to have to share tank space with the hybrid likes of dragon bloods but hey its a free country. As for ripping of Walmart erm is it not always the other way round? BOGOF and still a rip off? This thread kind of needs photos? I like to keep a few to show folk I like shockingly bad taste (in moderation) as well as good. yes the pindu is mine and doing just fine and i will be getting a few more soon for my brother in law and i might get 1 more for this tank, and has far as walmart goes like i said get over it. I got ovser it before you posted mate. Rubbish shop and rubbish fish. You can do far better mate. Wild caught dragon bloods? WHERE! How is a $75+ dragon blood any better than an $11 dragon blood? Maybe more color, but still a hybrid (aka rubbish fish). 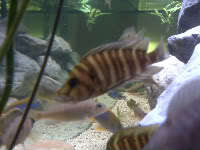 You take a chance mail ordering fish, at least in store you are able to observe them for a while before buying. Mitch has had some awesome monster fish for quite a while now, if he wanted a dragon blood, then thank god he got one. It's surely going to be better off than it would have been in any LFS or breeder pond. thanks jeff i couldnt have said it better and we know im never that nice.